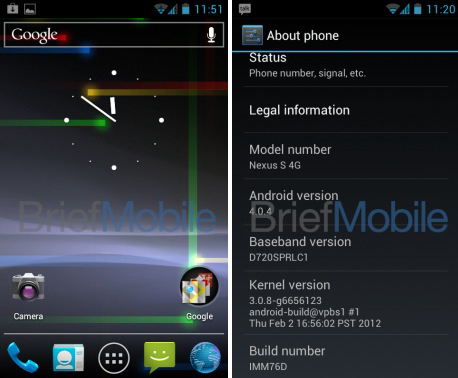 The Android Ice Cream Sandwich update came to the GSM Nexus S two days ago, leaving Nexus S 4G owners waiting and longing for the update. Well long no more, BriefMobile obtained the full official IMM76D ICS ROM. This is expected to be coming to Nexus S 4G devices over-the-air in the near future, but there is a way to get it early. Connect the Nexus S 4G to your computer. Ensure Odin recognizes it. You should see “0:[COM#]” fill in the first box. After it is finished, the NS4G will reboot and it will be running Android 4.0.4 IMM76D. Congratulations! Going to give it a try? Let us know how it works in the comments!